Background & objectives: Introducing a nucleic acid test program is aimed to diagnose and reduces the risk of viral infection or transmission. DNA assay for HBV can detect infection in the windows period, chronic occult infection and can discriminate between active and inactive HBV infection. This cross-sectional study designed to diagnose, analyze HBV infection and to differentiate active from inactive infection based on viral DNA detection. Methods: Blood samples were collected from 256 patients previously diagnosed on the clinical ground as hepatitis B seropositive in Erbil Central Lab. The viral nucleic acid quantitative assessment was done for the collected samples using RT-PCR. Q-square was performed for statistical analysis. Results: Out of 256 collected blood samples 93 (36.3%) showed HBV-DNA positive titers above 50 IU/ml. Among positive subjects, 67 (72.04%) was categorized as inactive carriers (˂ 2000-20.000 IU/ml HBV-DNA titers). Conclusions: The data produced from this study confirmed the importance of the RT-PCR technique in sensitivity and reliability as a superior diagnostics tool specifically in differentiating active from inactive HBV carriers. 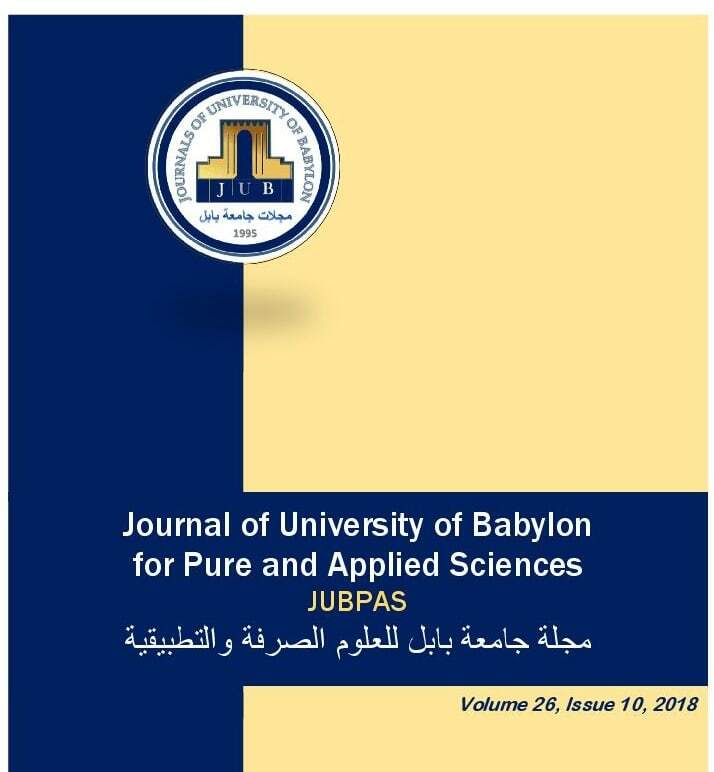 S. Balaky, S. Hussain, A. Khaleel, F. Sabeer, and A. Mawlood, “Molecular Diagnosis in Differentiating Active and Inactive Forms of Hepatitis B Virus Carriers”, JUBPAS, vol. 26, no. 10, pp. 41 - 45, Dec. 2018.